We took Brianna on her first restaurant trip. Some fellow expat bloggers (Barb, Rachel and Stuart) will love me for this… We didn’t take her to one of my local favorites such as Coco Loco’s, Trotamundos or Makayla’s, but to McDonald’s!!! Eat your veggies, put some ketchup on those fries! Actually most Cusquenians don’t seem to mind that a McDonalds opened on the Plaza de McDonalds – digo, Plaza de Armas – it’s pretty low key without its typical big golden arches. 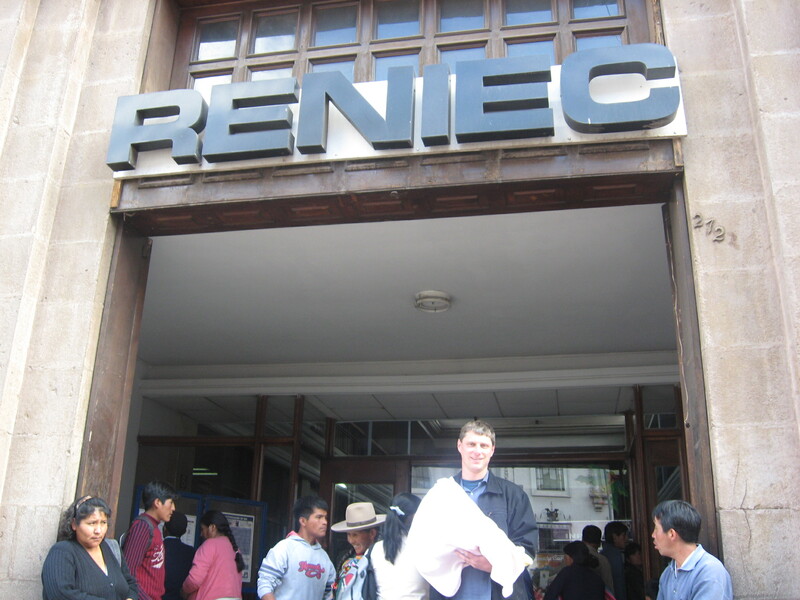 In addition, we had just come from RENIEC, the mother of all Peruvian bureaucracy, so I was ready for some good American style efficiency and capitalism! RENIEC is the agency that issues DNIs, the Peruvian national ID card. Like all of the bureaucratic agencies in Peru, RENIEC is full of pencil pushers whose only goal in life is to maintain their steady paycheck, regardless of how much they may be holding back development in Peru. I mean, I could have been working instead of trying to hold my baby up straight so she could put her “footprints” (not kidding) on her ID papers. This entry was tagged Cusco, McDonalds, Peru, Reniec. Bookmark the permalink. I’d much prefer a Whopper from BK. I agree, McDonald’s is one of the few places you can find good organization and customer service in Peru. They even have better customer service than the US. You’re right Rachel. Here in Cusco the kids who work at McDs actually seem happy and proud to be there, not something you can always say from their counterparts in the US. The baby is born!!! Congratulations!!! I suppose I haven’t been visiting your blog often enough. congratulations again!!! This is pretty funny. I am living now in California after 10 years living in Cusco as a foriegner. So I can understand exactly the swing of your posts from elation to frustration from day to day. 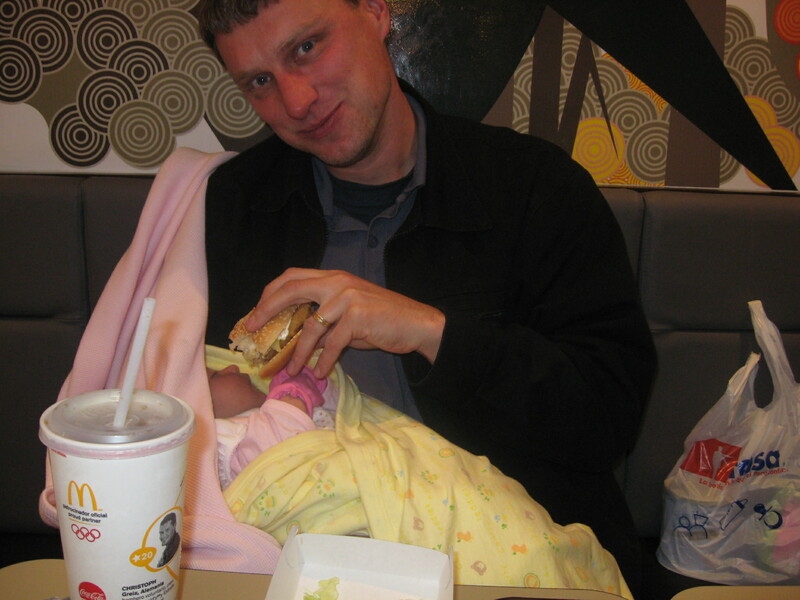 On recent trips to Peru, after McDonalds was installed – that is also our remedy after a long day of doing tramites – “F** it, let’s go to McDonalds”… You feel like at the end of the day you actually accomplished something with relative ease!! !